21st Century Fox’s takeover of European pay TV operator Sky is again faltering after UK regulator the Competition and Markets Authority (CMA) found the deal was not in the public interest. In provisional findings, the CMA said the deal to buy the 61% of the satcaster it does not already own would not benefit media plurality and would hand too much power over the UK’s news agenda to Fox boss Rupert Murdoch and his family. The regulator said it did not believe the deal would go against public interest on broadcasting standards, however. This was previously seen as a major obstacle to the deal progressing. Fox, which is in the midst of selling off a large swathe of its operations to Disney, said in a statement it was “disappointed” by the findings but said it would “continue to engage with the CMA ahead of the publication of its final report in May. 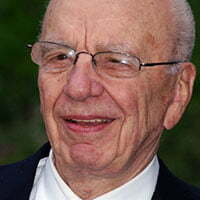 Sky is expected to become part of the Disney empire if the Mouse House’s deal for Fox proceeds. That could mean concerns over plurality issues fall away, although the Fox-Disney deal is expected to take at least 12 months as US regulators scrutinise the arrangement. The decision to refer Fox’s proposed £11.7bn (US$15.1bn) takeover of Sky to competition authorities last year had been the latest hurdle in Murdoch’s bid to take control of the 61% of the UK media company he doesn’t already own. The delays prompted a US$222m payment from Sky to its shareholders, as regulators said Murdoch’s media empire would see him wield too much power. Murdoch already owns The Times and The Sun newspapers in the UK and there are fears his 100% ownership of Sky, including its Sky News operation, could give him too much influence. The CMA added that Fox had a “genuine commitment” to broadcasting standards and recent allegations of sexual harassment against Fox News employees in the US were not related to standards in the UK. “It is very important that no group or individual should have too much control of our news media or too much power to affect the political agenda,” she added. A three-week public consultation will now start as interested parties put forward responses to the provisional findings. The final report will be sent in May to the UK’s recently appointed culture secretary Matt Hancock, who will make the decision on the deal. Sky’s shares rose by 2.5% in early trading.